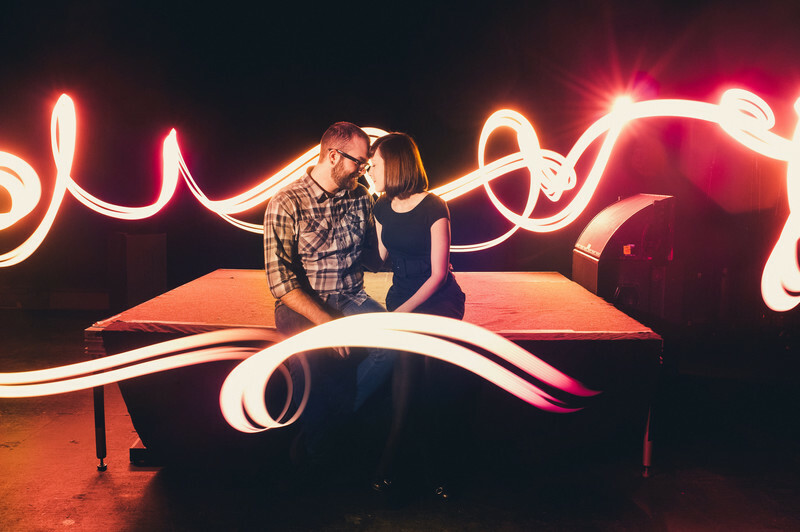 Lighting painting is one of my favorite things to do at weddings and engagements. This couple met at the Troc in Philadelphia. This photo was taken at the Troc in Philadelphia! My assistant ran around them while my shutter on the camera remained open painting in this beautiful backdrop. The couple remained still and the engagement photos turned out epic - or at least that is what I think . Later on their wedding was featured in Rock n Roll bride. Let me know if you are interested in an prewedding session.